If you plan on working professionally in the entertainment industry then it is essential for you to have an agent or manager. The options available to you will differ according to your location but you should be able to find a reputable management company or agency that can help you excel in your career. This business arrangement can have a profound impact on your success. In most cases it is not necessary to hire a manager until you decide to move to New York or Los Angeles because smaller markets will usually provide the services of both a manager and an agent. The job of a manager is like a chief executive officer. They are in a position of leadership to guide you along the best path for your career goals. They will often explain the pros and cons of opportunities that you receive to help you make high-quality decisions. This can include the agents you sign with, jobs that you accept and even smaller details such as the types of photos that you take. This is done so that you can benefit from the knowledge and experience of your manager and take strategic action. Sending out your headshots to get you representation. This will usually be done by contacting one agency at a time. Assisting with Client packages. This can involve things such as finding high-quality photographers, professional coaching and additional training. Networking with Industry Professionals. One of the manager’s main jobs is to promote their clients among their contacts in the industry. This can include people such as producers, directors, agents, casting directors, etc. In general, managers will have fewer clients than agents. This is largely due to the time that must be dedicated to every client. A manager will typically communicate more regularly with each individual that they are working with and will oftentimes speak with them on a daily basis. Whereas an agent, will usually only contact the talent once every week or so. For this reason, a manager would not be able to handle the same volume of clients as an agent and provide the same level of service that is required of them. The number of clients that a specific manager will represent depends on the level of success that their talent has achieved. If most of their client base is finding regular work and is steady on their career path then they may be able to handle a larger number of individuals. If their talent requires more individualized attention to find work then the manager will either have to dedicate more time to a smaller group of clients or recommend changes for the talent. Each individual that the manager works with will have different backgrounds and goals, which can result in several unique relationships. If a client is really new then a manager may contact casting directors and agents directly so that they can get them working more quickly. In the beginning, the talent will often accept any opportunities available to them, which could include student films or roles in community theatres to build up their resume. 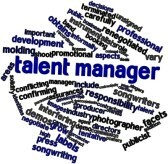 The manager can also serve as a publicist to get their talent in the spotlight with interviews, newspapers, etc. Managers can also gain access to feedback from casting directors that their client has auditioned with to help them improve for future auditions. The manager will want to make sure that their talent is prepared for any auditions or jobs that they book since this will reflect on both their clients and their abilities as a manager. 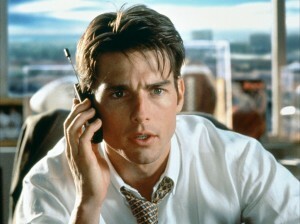 In the majority of instances you will only have one manager for your film and television projects. However, if you are involved in other areas of the industry such as music then you will probably have a separate manager for those performances since the two areas require specialized experience. Commission – The standard rate of commission for a talent manager is anywhere between 10 to 25 percent. Most managers will work for 10 to 15 percent while other managers may choose to charge a package fee in addition to their commission. The contract that you set up should specify their rate and will usually last for one to three years. Licensing Requirements – Every state has certain laws regarding the duties of a talent manager. For example, California’s labor law prohibits talent managers from handling industry contracts, negotiating on behalf of the talent, or submitting actors for work. Some managers choose not to follow these rules but a good manager should have their clients signed with skilled agents so they do not have to break these rules. You can research the laws for your state to learn about the rules for talent managers. Client Volume – If a manager is representing too many clients they will not be able to dedicate an adequate amount of time to each individual. Divide the number of clients a manager is handling by eight to gain an idea of how much time they can realistically spend on each client during a work day. Manager Contacts – Who your manager knows can directly influence your career prospects. By finding out who their connections are you can decide if they have the right network for your specific goals. When a manager also works as a casting director or acting coach this can provide their clients with stronger opportunities for work. We hope that the Premiere Talent Tip Series is helping those of you seeking a career in the entertainment industry. If you are looking to showcase your skills in front of industry professionals, come visit us at one of our Interview Weekends near you. Agents and managers typically play an essential part in the careers of actors, models, singers and dancers. While the two play different roles the functions of their jobs are related, which makes it necessary for them to work together. Most professional actors will sign on with both a manager and an agent. The experience of meeting with agents and managers can be intimidating at times. However, it is important to keep in mind that you are the chief decision maker when it comes to your career. Even if someone wants to take you on as a client you are not required to sign with them. Before you agree to any arrangements you need to make sure that you are going to be working with someone that is aligned with your goals. Commission structures will vary between agents and managers. While agents only earn a commission on jobs they were directly responsible for helping you book, a manager that you are signed with will take a 10 to 25 percent commission on every job that you complete. The type of agent you are working with will also influence the percentage of commission owed to them. For example, film and television agents charge talent between 10 and 20 percent. Whereas a literary agent takes between 10 and 15 percent, while the average commission for music agents is 20 percent. Therefore, if you have a manager, a print agent and a theatrical agent, their cut will be dependent on the jobs you book. So if your theatrical agent books you on television show you will end up paying approximately 10 percent of your pay to your theatrical agent and 15 percent to your manager. As the print agent was not involved in this job it will not be necessary to pay any commission to them. AFTRA and SAG union regulations support the consistency of agent’s commissions. Managers can charge any percentage that they choose but a reasonable rate will range between 10 to 25 percent. Their rate will be affected by the market in the area and the industry standard for their specific niche in the business. You can look up the standard fee to determine if the commission percentage that a manager requests is fair. An amount that is greater than 25 percent is most likely excessive and unreasonable. No matter what the requested rate is, you should not sign a contract until you have an attorney look over it to make sure that everything in the contract is clear and agreed upon by both yourself and the agent or manager. If the talent representative pushes you to sign immediately then you should decline to do business with them. If they have a sincere interest in working with you then there is no reason they can’t wait. This is an important decision that can influence your career so don’t hesitate to ask questions and discuss the matter with people that you trust. The agreed upon length of a contract can vary greatly and can be based on the needs of the talent. The most common range for a management or agency contract is between one and three years. If a contract is designed to exceed three years then problems may arise since many things can change in that length of time. It is not recommended to sign a contract longer than this period of time. Genuine agents and managers will never ask for money before they agree to represent you. Their pay should always be commission-based and come out of your earnings with jobs that they book for you. Although there will be starting costs associated with headshots, resumes and any necessary training, they should not result in your representative gaining a profit. Agents and managers will oftentimes recommend specific photographers or coaches that they have experience with but you should not be required to work with these individuals. You always have the options of using another resource of your choosing. It is never a good idea for family members to take on the role of manager. Mixing business and personal relationships can interfere with the quality of the job and the talent’s career. A relative is usually not the most qualified individual for this role and this type of arrangement will often end badly. Managers are involved in the process of making sure that everything is running smoothly and will need to coordinate events with their talent’s agents in order to achieve this. If a problem comes up that will affect the talent then the manager should step in and resolve the issue. A large part of a manager’s job is to negotiate rates and contracts for the benefit of the talent. This can be an effective system since the manager is aware of fair rates and will be more experienced than the talent at these types of negotiations. When you sign with an agent it is important to have an understanding of the nature of the industry and your role in the process. By becoming familiar with the casting process you will have a better chance of landing jobs. It is also necessary to be aware of the expectations that your talent agent or manager will have of you. This article will provide an overview of the casting process and how to fulfill your end of the business relationship with your agent or manager. Before an actor can be cast in a role there is a whole series of events that must take place. Once you are aware of the complete process you will gain a better understanding of the roles involved and the larger picture. This will allow you to fully comprehend your part in the sequence and give you an uninhibited view of the most advantageous path. The first segment of the casting process begins when a producer hires a casting director to locate the best actors for their project. After the casting director has been hired, they will send a message to talent representatives (managers and agents), which includes a summary of what type of person they are looking for. The job of the talent representative is to only submit actors they believe will fit the part for consideration. The casting director will usually have a limited period of time to sort through hundreds and maybe even thousands of actor headshots once they receive them. This is why the quality of your headshot is so vital. After they have selected a list of candidates they need to meet with as many of them as possible in order to find the most ideal match. The actors that the casting director thinks will be the best match are then presented to their producer or director who will make the final decision. Having knowledge of the casting process gives you an idea of how challenging it can be to simply get an audition. Actors that are represented by an agent or manager have an edge over the competition because it gives them the connections of a professional in the industry. This is why it’s important to maintain your relationship with you agent or manager. There are several reasonable expectations that a talent representative will have for their talent. To be Available: You should not audition or sign with an agent until you are ready to work and willing to make the necessary accommodations. To be Accessible: If your agent or manager tries to contact you it should not take more than 20 minutes for you to get back to them. If you change phone numbers or addresses it is important to notify anyone representing you. To Keep in Touch: If you only call your agent late in the day they will already be done with their submissions to directors. Call them early on when it is necessary and only do so during regular business hours. Additionally, if you have upcoming circumstances that will keep you from being able to audition or work you should let them know beforehand. Supplying Headshots and Resumes: Making sure that your agent has an adequate supply of your headshots and resumes is your responsibility. Check in at regular intervals to see if they have enough in stock. To be Engaged and Active: Successful actors are always practicing and building their skills. This can involve performing in showcases and stage plays, or attending workshops and classes, etc. Many agents want their clients to create a listing of themselves on the Academy Players Directory or on IMDB.com. To Pay Commissions: This aspect of your relationship will be outlined in the terms of your contract. Relationships are an important aspect of working in any field. In the entertainment industry, the relationship that a performer has with their agent or manager is one of the key elements tied to their ability to succeed. Our Premiere Talent tip this week is to educate all of you about agents in the industry. Professional actors, singers, dancers and models need to have a good working relationship with their talent agent. In order to achieve this relationship it is important to understand both the role of your agent as well as your responsibilities. There are different types of agents and certain qualities that you should look for before you sign with them. This article will break down your agent’s job, how to interact with them and what expectations you should have. A talent agent is a person who works to market talent and find them opportunities for jobs much like an employment or staffing firm. They function as the middle man to get you signed up for auditions so that you can go in and close the deal by selling your skills. When you sign with an agent they will speak with casting directors on a daily basis to pitch your talent to get you auditions that may lead to jobs. The relationship that you have with your talent agent is essential as you would not be able to find the opportunities they offer on your own. Each agent typically has hundreds of individuals that they have agreed to represent. The larger the agency, the more people they will be able to work with. This can be beneficial to you because the bigger agencies tend to have more information and contacts available to them. Smaller agencies may be able to give more individualized attention and even act as a manager for their talent. However, this is not common since agencies require a certain amount of clients to be successful. Some individuals will need more than one agent or a specific type of agent since their services can range from broad representation to a focused area within the industry. There are several different types of agents and the talent they represent may have varied skills that they want to market. For this reason it is not uncommon for certain people to have three or four agents. Variety: Entertainment Events with appearances at shows, nightclubs, etc. B List Agency: While this type of agency is close in size to an A list agency, it does not have nearly as much influence. Most of the clients for this agency will consist of experienced actors and possibly directors and writers. C List Agency: Mostly finds jobs for guest stars and supporting actors. D List Agency: Represents new talent and are set up for basic day players. Before signing with an agent, talent should be aware of what their contract agreement outlines. It is only possible to sign with more than one agent per talent category if the talent has signed a non-exclusive agreement and the agents are located outside of a 70 mile radius from one another. Most agents will typically contact you about once a week but it is a good idea to stop by and check in on occasion to stay on top of new events and make sure they have everything they need from you. As long your visits are not excessive, they can help your agent keep you in mind for jobs as they come in. It is not necessary to hear from your agent all the time as long as you are getting regular opportunities for auditions. Most of your agent’s time will be dedicated to speaking with casting directors in order to get you jobs. An agent should never ask for money upfront, instead they will receive a commission from the jobs that they secure for you. The average commission for an agent is 10 to 20 percent of an actor’s gross income. Agents will not receive this commission until an actor gets paid. The structure of this commission is determined by union and non-union affiliation, as well as print works and location. Union agents are only allowed to charge a maximum of 10 percent because of SAG and AFTRA rules. Competitive/Assertive: Since the main responsibility of an agent is to submit their talent for auditions, most of their time should be devoted to this area. Agents will need to have a solid understanding of past, present and future projects in the industry so they can effectively promote the skills of their clients to industry professionals. Passionate: It is highly desirable to have an agent who is enthusiastic about your skills and will work hard to market them. Communication: An agent will only contact you if they have a job or audition they are attempting to book for you. There may be times when you hear from your agent less than usual but this is normal. Your agent’s time will mostly be spent speaking with professionals in the industry to get you auditions and jobs. Contracts: When you land a job your agent is responsible for negotiating your contracts and rates. This is why they need sufficient experience handling this type of important paperwork. Number of Clients: Find out how many clients your agent represents, and divide this number by eight to see how much time can be spent on each client per day. It is necessary for agents to work with a larger number of clients than managers so that they can receive enough commissions but you do not want to work with someone who is overloaded. If you want to have a fruitful business relationship with your agent it is important to understand the functions of their job. Keep in mind that you must fulfill your responsibilities as well to keep your agent satisfied and have success with auditions and jobs. While you want to use a professional photographer for your headshots or zed cards, you should look for someone that also has experience shooting for models and actors. Ask for examples of their previous work, and choose someone that has worked with minors before to make sure that they will be able to effectively communicate with and direct your child. By selecting a photographer with extensive experience shooting headshots and zed cards, you are much more likely to receive a product that will cater to industry needs. Once you have selected the appropriate photographer and are setting up a time to complete the photo shoot there are some factors you may want to consider. Choose a time when your child is most energetic and engaged and avoid scheduling the shoot at a point in the day when your child may be ready for a nap or a meal. The day before and the hours prior to a shoot are important contributors to the success of the event. You will want to make sure that your child has had an adequate amount of sleep the night before a shoot and also watch what you feed them the evening before and day of the photo shoot. If your child is sleep deprived or has sugar in their system it will be difficult for them to stay focused and give their best performance. A healthy breakfast and some light snacks and water can help your child keep their energy up during the shoot. Grooming is important for both children and teenagers. The child’s hair will be the main element of concern while a teenager should have freshly shaved legs, underarms and unnecessary facial hair. Their eyebrows should be shaped and the removal of body hair can help enhance their appearance as well. Medium length, manicured nails with clear polish are ideal for females while males should have short and clean nails. If hair styling services will not be available at the photo shoot then you should arrive at the shoot with clean, dry and lightly styled hair. Keeping your hair’s natural texture and wearing it down is recommended for the shoot. If you are planning to cut or color your child’s hair this should be done at least one week before the shoot. Since these photographs should provide a realistic representation of your child don’t try to change their hair in an excessive manner before or after the shoot. A camera will pick up on even minuscule imperfections so it can be highly beneficial to seek the services of a make-up artist. If these services are not offered at the shoot then you may want to get this element taken care of before the shoot. Males should not look as if they are wearing makeup and females should have a light, natural appearance as well. The main purpose of the makeup is to enhance a person’s features and cover up small flaws. Clothing that is clean and not overly distracting is ideal for a photo shoot. If headshots are being taken then the top of the outfit is the most significant since it will be displayed in the photograph. Dark, deep and solid colors tent to work best for a variety of skin tones and physical features. While black can be used colors tend to do more to enhance a person’s features. Avoid clothing with logos, graphics and pastel colors. If the photo shoot is for a zed card then an assortment of different types of clothing will be needed. The clothes used in the shoot should be modern and flattering to the model’s build. Your photographer will usually give you an estimate of the number of outfits needed and you may also want to bring one or two extra pieces. Each outfit needs matching shoes and accessories. Layering tops and adding hats, jackets, jewelry or scarves can work together to form a “complete outfit.” Clothes should be age-appropriate and complement the model’s looks without distracting from the actual person. When it comes down to it just focus on the purpose of the shoot and relax and enjoy your time. If your child or teen is stressed and anxious this will negatively impact the shoot and show up on camera. Magazines and catalogs can help you gain some ideas for the shoot and it may even be beneficial to bring individual ads with you. Some CDs that contain good dance music can also be helpful. Using the music can help your child loosen up and come up with new poses as they display their personality. Good photographers will help you find the best poses for your child but it is up to them to showcase their smiles and personality during the shoot. Practice at home before coming in for the shoot to work with different expressions and find the best looks for your child. 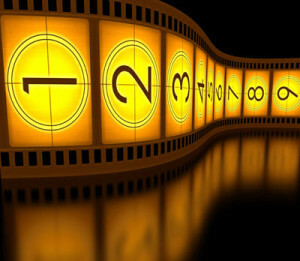 Sending in a tape or demo reel for an audition is becoming a more and more common practice. If you are asked to send in a taped submission for an audition the first step will be to find out what kind of format they would like you to submit. The majority of the time an on-line link (or sometimes a DVD), will be requested since it is the customary format. Industry professionals typically ask for a video submission for certain projects or to assess your level of talent. Clothing should not be distracting, which is why you should wear a shirt without graphics, logos or busy prints. You should also film your video in front of a plain background that will not interfere with what you are trying to accomplish. Keep the lighting at an appropriate level and have your hair pulled back off of your face. The shot should capture ¾ of the person with the entire head in the shot and limited movement. Either a commercial or monologue can be used to demonstrate your performance skills. If you decide to use the commercial then focus on displaying a lot of energy without being silly. This part of the demo should last between 15 and 30 seconds. For a monologue use a piece that is a reflection of your natural abilities. For example, if you are a naturally comical person then use a comedic monologue. It should be a contemporary piece and should not use any uncommon languages or dialects. You may also use a dramatic piece if that is more your style, but remember to keep things subtle and avoid melodrama. This should be a one minute performance and remember to always use a monologue that is modern, as well as age and gender appropriate. During this portion share something interesting about yourself and your life. Focus on acting as a storyteller and captivate your audience. This segment should be about one minute long. NEVER include an interview for an audition that is for a specific part unless you are asked to do so. A script or portion of the script (called “sides”) will usually be provided to you, which you will perform as someone reads the other lines off camera. Props and blocking will not be necessary as these types of auditions will be filmed in the same manner as demo submissions. However, this scenario only requires the performance of the scripted materials. As you are performing it is important to take direction from the professional and make sure to do exactly as they instruct. Send the tape to the person, director, agency or manager requesting it. Always write “requested material” on the outside of the mailing envelope that contains the DVD or in the title of the email if you are submitting it online. If you are sending in a DVD, label the disc with your name, age, contact information and the numerical date of the taping. You have the option of converting the video to a digital format so that it can be posted online or emailed. This can be done by uploading it to Youtube.com, other website services or by sending it through a file sharing service such as www.yousendit.com. If you have singing and dancing abilities you may want to include a clip of them on the demo, but do not do this for a submission tape that will be used for acting. If you are creating a demo, collect two to three songs that are each one minute in length to give the viewer an idea of your range and abilities. 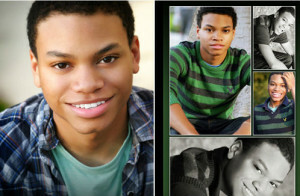 It is important to include a second head shot and attached resume with your demo in addition to your taping submission. Once you have sent in your submission make sure to keep track of where you have sent it and to whom you have mailed it to. The package you send should contain a professional headshot with an attached resume that includes your contact information. If they decide they want to meet with you or need more material they will contact you directly. Do not call to follow up; if they are interested they will contact you. A comp card, also known as a composite card, z card or zed card, is used as a marketing tool for models. It serves to showcase the latest and finest photographs in a model’s portfolio and is used in a similar fashion as a headshot. This card is a 5X7-5.5X8.5 composite and is the model’s business card, which typically displays a single large image on the card with three or four additional images on the back side. The model’s composite was invented in 1985 by Peter Marlowe. Various other companies began publishing cards for the model industry but used different names to get around Marlowe’s trademark “model composite,” which was registered in Europe and the United States. This resulted in the varying names for these cards but today “model composite” and “comp cards” are freely used terms in the modeling industry. The image used on the front of a comp card should either be a headshot or half-body shot of the model (never use a full-body shot on the front of a comp card). The talent should have good eye-contact in the photograph and may smile but it is not required. The name of the model should be printed on the lower right-hand side of the front of their comp card. The back side of a comp card should display images that show the ability of the model to be versatile and provide variety of images for the viewer. There are different ways to achieve this such as with an assortment of facial expressions (intense, laughing, etc.) poses (sitting, leaning, action shots, etc.) types of camera shots (close-up, half-body, full body) and styles of clothing (it is also acceptable to use accessories for comp cards). When young talent is featured on comp cards, the card will provide a way to get print modeling jobs, therefore the images on the card should have a similar appearance to pictures in a catalog or print advertisement. Much like headshots, interesting and natural looking shots are the best. Images that look too postured or stage should not be used. Ideally, the background that is used for the cards will provide a neutral element such as a photography studio or shots that are taken outdoors. Even though the background and props that are used are important, the model should still be the main focus of the image. In addition to the three or four images on the back of the comp card, the model’s statistics and contact information should be printed on the bottom. The statistics should contain the model’s birthday, height, weight, eye color, hair color, clothing sizes and shoe size. Females ages 13 and older should include their waist, hip and bust measurements. Our Premiere Talent Tip Series is designed to help all of those current and future participants of our showcase weeks at Disney World in Orlando, FL. Our Premiere Talent Tip Series continues with the all important head shot. If you are looking for work as an actor, dancer or singer, or want to find an agent to represent you, then one of the first things you must do is get professional head shots. These will be 8×10 color photographs that will be used as a way to advertise yourself. They are considered to be an actor’s “calling card” and every actor needs to have them if they want to find professional work. Those who are new to acting will use their head shots to get started in the industry by distributing them to various managers and agents so that they can get representation. Once an actor signs with an agent their head shots will be sent to casting directors that are looking for individuals with the traits and talents possessed by the actor. This is done so that the actor can be scheduled for auditions that will give them the opportunity for jobs. Since the head shot is such an important aspect of landing acting jobs there are several factors you will want to keep in mind to produce an ideal head shot. When you meet the photographer to have your head shot taken your face should be displayed clearly and serve as the chief focus in the photograph. Although your face is going to be the focal point in your head shot, this does not mean that only your head can be featured. What is popular with head shots can change every few years, but a standard element of these photographs will be a clear image of the talent. The name of the individual should be printed on the head shot and is usually found along the bottom of the image. This can be added once the head shots have been created. It is very important to make sure that your head shots provide a realistic representation of the way the actor looks in person. As an example, if you have naturally curly hair you should not straighten it for the head shot since this would not be a truthful representation of your regular appearance. Maintaining a look that reflects your actual age is also essential so heavy makeup and overly revealing clothing should be avoided. Your finalized head shot should have a clear and natural finish and you should have strong eye contact in the photograph. Try to communicate something about yourself in the head shot with your eyes and facial expression but avoid looking away from the camera. A smile is common in a head shot and can be a closed mouth smile or an open smile that displays teeth. Using accessories such as sunglasses or excessive jewelry can be distracting and should not be used for the purpose of a head shot. 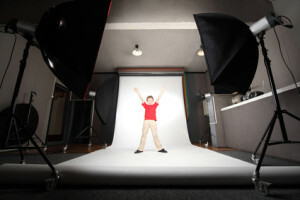 The most effective head shots will gain the notice of agents, managers and casting directors. These professionals will often look through hundreds of head shots in a single day. Therefore your head shot must create a lasting impression in order for you to be considered for an audition. Some actors make the mistake of using an amateur photograph, which usually results in them losing out on an opportunity to someone with a professional head shot. A high-quality head shot is one of the most important marketing tools that an actor can have. A monologue is one of the fundamental staples in an actor’s toolbox and can be used as a form of entertainment. It is a performance by a single actor and can have comedic or dramatic elements as well as a combination of the two. A monologue is simple to identify because it is always performed by one person and involves no additional actors or extra dialogue. For audition purposes they are typically kept under a minute long but monologues within the context of a show can be much longer than that. This Premiere Talent Tip Series post will share some suggestions about finding and performing a monologue. Before you can start practicing your monologue you need to the find the right one for both you as an actor and the role you are auditioning for. Start with monologues that are a match for your age and gender and then narrow them down to pieces that you can identify with. The roles you will be able to play will be influenced by what you are comfortable performing in addition to your personal background. The process of reading and experimenting with different monologues is the best way to help you find the best piece for your particular needs. A good online resource for monologue books is Amazon.com. One of the most difficult but necessary aspects of acting is to make it appear natural. Getting in touch with your piece can help you achieve this and it should seem as if you are having an ordinary conversation even though you are the only person speaking. Use conversations that you have had with family and friends to help you find an ideal pace. When you are performing a monologue you are the sole person responsible for moving the story forward. In order to do this you need to understand the motivation/intent of the character you are playing. If you are going to achieve a believable performance you also have to be familiar with the character you are speaking to. People tend to speak and behave in different ways when they are talking to certain people in their lives. This concept needs to be applied to your monologue. As you become comfortable with the piece you have selected and gain an understanding of your character and the situation they are in you can focus on the gestures, body language and diction involved. It is very important to speak in a way that will allow your audience to clearly understand you. Focusing on your pitch, speed and enunciation will help with this, as well as focusing on the person you are supposed to be talking to. You can start out by practicing on your own, and with family and friends, but before you use your piece in an audition it can be very beneficial to perform it with an acting coach so that you can work out the kinks in your performance and strengthen your understanding of the piece. If you have any questions regarding our program, please don't hesitate to contact the Premiere team.